This entry was posted in Daily Devotional Guide, John MacArthur on February 2, 2018 by Truth2Freedom. This entry was posted in A. W. Tozer, Daily Devotional Guide on February 2, 2018 by Truth2Freedom. “Behold”, in Isaiah, always introduces something relating to future circumstances. The choice of the word almah is significant, as distinct from bethulah (a maiden living with her parents and whose marriage was not impending); it denotes one who is mature and ready for marriage. 7:14 Again you is plural here. Isaiah turns from the king whom he has dismissed in judgment and addresses all who are present. The sign is for many. The word Lord speaks of the sovereignty of God, of His great control over all His creation. The pronoun Himself adds an absolute certainty to the impending sign. The Hebrew word rendered virgin means “a young woman of marriageable age.” But the word also connotes the idea of virginity, for the Septuagint, the Greek translation of the Hebrew Bible made in the second century b.c., renders the Hebrew word with a Greek term that specifically means “virgin”. 7:14the Lord himself. Failure of the human king to respond to the invitation (v. 12) results in the divine King again taking the initiative (cf. v. 17). Similarly, two such signs would be offered to Hezekiah, Ahaz’s son and successor (see 37:30; 38:7). Although some claim that the word translated virgin (Hb. ‘almah) refers generally to a “young woman,” it actually refers specifically to a “maiden”—that is, to a young woman who is unmarried and sexually chaste, and thus has virginity as one of her characteristics (see Gen. 24:16, 43; Ex. 2:8, “girl”). Thus when the Septuagint translators, 200 years before the birth of Christ, rendered ‘almah here with Greek parthenos (a specific term for “virgin”) they rightly perceived the meaning of the Hebrew term; and when Matthew applied this prophecy to the virgin birth of Christ (see Matt. 1:23), it was in accord with this well-established understanding of parthenos (“virgin”) as used in the Septuagint and in other Greek writers. Isaiah prophesies further that it is “the virgin” who shall call his name Immanuel. Bestowing a child’s name often falls to the mother in the OT (e.g., the naming of the patriarchs in Gen. 29:31–30:24; but cf. 35:18; also Judg. 13:24; 1 Sam. 1:20), although other women (cf. Ruth 4:17) or even the father (Gen. 16:15; Judg. 8:31) could be involved in the naming. The name itself, Immanuel, “God is with us,” is the message of the sign. Such is its importance that Matthew translates it for his readers (Matt. 1:23). Immanuel is used as a form of address in Isa. 8:8 (“your land, O Immanuel”), and as a sentence in 8:10 (“for God is with us”). To say that God is “with” someone or a people means that God is guiding and helping them to fulfill their calling (Gen. 21:22; Ex. 3:12; Deut. 2:7; Josh. 1:5; Ps. 46:7, 11; Isa. 41:10). As such, it would provide a pointed message either to the fearful Ahaz or to the failing royal house. Christian interpretation follows Matthew in applying this verse to the birth of Jesus. However, some aspects of Isaiah’s prophecy also relate to the significance of the sign for Isaiah’s own day. This being the case, a number of questions are raised: To whose family does the virgin belong, and how should her marital status be understood? What is the precise significance of the child’s name? Is it a personal name, or should it be understood as a title? Most importantly, does the fulfillment of this sign belong to Isaiah’s own day, or does it rather point (even in his day) to a much more distant and complete fulfillment? Christians have typically answered these questions in one of two ways. Some hold that the sign has a single fulfillment—that is, the sign points originally and solely to the birth of Jesus as the “ultimate” Messiah. Those who hold this view emphasize the understanding of ‘almah only as “virgin,” thus precluding any “near term” fulfillment before the birth of Jesus; this view understands “Immanuel” as a title (as in 8:8) rather than a personal name. It is also noted that the variation in reference to a “son” (Hb. ben) in 7:14, as compared to a “boy” (Hb. na‘ar) in v. 16, further distinguishes between the child of miraculous birth and a more generic reference to a male child unrelated to the divine promise. This has the effect of separating the reference to Isaiah’s day (vv. 16–17) from the fulfillment of the announced miraculous son to be born at a future time (v. 14). According to this interpretation, then, the prediction of the virgin birth in v. 14 is a straightforward prediction of an event cast well into the future, and Matthew’s application of this prophecy to Jesus (Matt. 1:20–23) provides the divinely inspired testimony to there being a single fulfillment of Isaiah’s prophecy. By this interpretation, the sign is directed to the “house of David,” to affirm God’s intention of preserving David’s dynasty (in keeping with the promises of 2 Sam. 7:12–16), in order to bring Israel’s mission to its glorious fulfillment (Isa. 9:6–7; 11:1–10). God will use any means to do this, even miraculous ones: this is a rebuke to the faithless and secular outlook of Ahaz. Those who see in this sign a more immediate application to Ahaz and his times usually argue that the prophecy has a double fulfillment—that is, both an immediate fulfillment in Isaiah’s day and a long-term fulfillment in the birth of the Messiah. Those who hold this view argue that it is natural for the name “Immanuel” to be understood in terms of double fulfillment, since two other “sons” perform similar symbolic roles in the context (cf. 7:3; 8:3–4). They argue further that the prophet’s own interpretation of the sign in 7:16–17 applies it directly to Ahaz’s own day. It should be observed that this understanding of the text in no way diminishes Matthew’s affirmation of the supernatural conception and virgin birth of Jesus (cf. also Luke 1:34–35). Even if the prophecy does include an immediate application to the time of Ahaz, however, the prophecy cannot have been fulfilled completely by the birth of someone like Maher-shalal-hash-baz (Isa. 8:1, 3) or by Hezekiah, as some have suggested, since 9:6 prophesies the birth of a son whose name will be “Wonderful Counselor, Mighty God, Everlasting Father, Prince of Peace”—a statement that could apply only to the Davidic Messiah. On this understanding, then, the prophecy of 7:14 foretells the birth of Immanuel, which was fulfilled partially in Isaiah’s time but fully and finally in the person of Jesus Christ. 7:14 The prophecy concerning Immanuel (see also Gen. 3:15) is fulfilled in Jesus Christ (Matt. 1:20–23). It is related to the larger OT theme in which God brings new life and offspring to barren women (see note on Gen. 18:10). 7:14the virgin The Hebrew term here, almah, indicates a young woman of marriageable age. In the ancient world, a young unmarried woman who had reached puberty could reasonably be assumed to be a virgin because of the close social and familial restrictions on her activities. There is ongoing debate about whether almah technically denotes a virgin, since the Hebrew term bethulah is the more precise word for “virgin.” If almah does not denote virginity, the implication would be that the nt interpretation of the virgin birth is mistaken (see note on Matt 1:23). However, Hebrew and Greek use a variety of terms to refer to young unmarried women or girls, indicating that physical virginity was the cultural norm and did not need to be explicitly expressed. The overlapping use of almah and bethulah in Gen 24 to refer to the unmarried Rebekah demonstrates that these terms were considered to be interchangeable (see Gen 24:16, 43). The Septuagint uses the Greek term parthenos to translate almah in Isa 7:14 and Gen 24:43. Drawing on the Septuagint, the nt interpretation is based on the Greek word parthenos, also a more precise word for “virgin.” The nt describes the fulfillment of Isa 7:14 with the birth of Jesus in Matt 1:18–23. Matthew focuses on the miraculous nature of Jesus’ birth and the scandal of Mary’s pregnancy prior to the consummation of her marriage to Joseph. While Isaiah focuses on the child and the symbolic nature of his name, Matthew emphasizes the remarkable nature of the birth. God with us Means “God with us.” The three symbolic names of these children point to the three phases of God’s future work: imminent judgment, coming restoration, and future redemption (compare Isa 7:3; 8:1). The concept that God is present among His people is prominent in the ot. The symbolic name Immanuel can be understood as an affirmation of trust in Yahweh, as it is in 8:10. Such affirmations of trust are common in divine promises and prayerful statements of faith (e.g., Psa 46:7). God’s presence among His people was an important theological symbol for Israel (the presence of Yahweh enters the temple in 1 Kgs 8:10–11). The people’s sinfulness puts that privilege in jeopardy. The sign of Immanuel should remind Ahaz that—at least for now—God’s presence remains with Israel. The name Immanuel symbolizes the full restoration of Yahweh’s broken relationship with His people. While the immediate context of the sign itself points to a short-term fulfillment (see note on Isa 7:10–25), the larger context of Isaiah heavily stresses the future time of redemption and reconciliation between Yahweh and Israel. The coming salvation is depicted in the royal role of the Messiah in 9:2–8 that weaves divine titles into the description of the ideal righteous ruler—the Davidic messiah. The close relationship between messianic and divine roles and titles supports the understanding of Immanuel as a messianic figure. In 11:1–10, the Messiah is given the divine right to judge the nations; His reign inaugurates an era of worldwide peace. The suffering, death, and destruction that entered the world through sin will be replaced with peace, justice, and righteousness as predator and prey live together in harmony (11:6). The time of Immanuel will reflect the perfection of creation as originally formed in the garden of Eden. 7:14 virgin. The Hebrew word occurs seven times in the Old Testament. It means a young woman of marriageable age, normally a virgin (Gen. 24:43). The Septuagint (the Greek translation of the Old Testament made about 150 b.c.) translated with a word more specifically meaning “virgin.” The New Testament understands Isaiah to be designating the Virgin Mary (Matt. 1:23). See “The Virgin Birth of Jesus” at Luke 1:27. Immanuel. “God with us.” The name conveys God’s promise to save, bless, and protect His children. The identity of the virgin and the child has been the subject of considerable discussion. Three major views have been proposed. First, some, especially Jews of the second century a.d., understood the prophecy to mean Ahaz’s wife and her child, Hezekiah (2 Kin. 18:2). But as Jerome (c. 400 a.d.) pointed out, Hezekiah was already born. Second, others identify the woman as Isaiah’s wife or a woman betrothed to him (8:3). The child is then Isaiah’s son, Maher-shalal-hashbaz. This interpretation is questionable. The Hebrew term translated “virgin” would not normally be used for a woman who was already a mother (of Shear-jashub, 7:3). If someone engaged to the prophet is meant, it becomes necessary to assume that his first wife had died. Also, the interpretation requires that the child have contradictory names: “God Is With Us” (Immanuel) and “The Spoil Speeds, the Prey Hastens” (Maher-shalal-hash-baz). Though not impossible, it seems unlikely. Finally, the child’s diet of “curds and honey” suggests that He would grow up after Judah’s destruction (v. 15 note). Tradition suggests a third interpretation, identifying the child as the Messiah, a divine personage whose birth is above nature. It equates the Child named “Immanuel” with the Child possessing God’s titles in 9:6, and with the “Branch” of ch. 11. According to Matthew, the virgin is Mary and the Child is Jesus Christ (Matt. 1:22, 23). In v. 16, the birth seems nevertheless to be imminent. Perhaps the prophecy has a partial fulfillment in the birth of Isaiah’s son Maher-shalal-hash-baz (8:1–3), while the definitive fulfillment waits for the birth of Jesus Christ, who secures God’s throne forever. 7:14˓Almah (Heb.) is one of two words translated as “virgin.” The other term, betulah (Heb. ), is very specific, only meaning “virgin,” whereas ˓almah is more general and can sometimes mean “a young woman of marriageable age.” The ambiguity of this term is reflected in its being translated “virgin” in some places and “maiden” in others. It has been maintained that the seven uses of this word in the O.T. (Gen. 24:43; Ex. 2:8; Ps. 68:25; Prov. 30:19; Song 1:3; 6:8; Is. 7:14) all have the meaning of “virgin.” This view is supported by the fact that translators of the LXX chose the Greek word parthenos, which means “virgin,” to translate ˓almah. In view of the importance of this verse to the N.T. doctrine of the virgin birth of Jesus Christ, it is puzzling why Isaiah chose the ambiguous term, ˓almah, over the more frequent and specific one, betulah. The answer may be related to vv. 16, 22, which suggest a double fulfillment to the prophecy. The prophet may have used ˓almah instead of betulah because the impending birth which would be a sign to Ahaz would not be a virgin birth, but the future birth of Immanuel (see note in center column) would be the Virgin Birth. The virgin birth of Jesus is essential to faith because only through this miracle can Christ (1) be fully God and fully Man simultaneously; (2) be the “New Adam”; (3) be sinless and perfectly obedient to the law of God on behalf of sinners; and (4) be the payment for sins as One who is both God and Man. The term “Immanuel” (“God with us”) was not meant as a proper name but as a description of the Person and work of the Messiah (cf. 9:6; 11:1–10). MacDonald, W. (1995). Believer’s Bible Commentary: Old and New Testaments. (A. Farstad, Ed.) (pp. 945–946). Nashville: Thomas Nelson. Radmacher, E. D., Allen, R. B., & House, H. W. (1999). Nelson’s new illustrated Bible commentary (p. 815). Nashville: T. Nelson Publishers. MacArthur, J. F., Jr. (2006). The MacArthur study Bible: New American Standard Bible. (Is 7:14). Nashville, TN: Thomas Nelson Publishers. Crossway Bibles. (2008). The ESV Study Bible (pp. 1254–1255). Wheaton, IL: Crossway Bibles. Barry, J. D., Mangum, D., Brown, D. R., Heiser, M. S., Custis, M., Ritzema, E., … Bomar, D. (2012, 2016). Faithlife Study Bible (Is 7:14). Bellingham, WA: Lexham Press. Sproul, R. C. (Ed.). (2005). The Reformation Study Bible: English Standard Version (p. 960). Orlando, FL; Lake Mary, FL: Ligonier Ministries. Criswell, W. A., Patterson, P., Clendenen, E. R., Akin, D. L., Chamberlin, M., Patterson, D. K., & Pogue, J. (Eds.). (1991). Believer’s Study Bible (electronic ed., Is 7:14). Nashville: Thomas Nelson. Cabal, T., Brand, C. O., Clendenen, E. R., Copan, P., Moreland, J. P., & Powell, D. (2007). The Apologetics Study Bible: Real Questions, Straight Answers, Stronger Faith (pp. 1002–1004). Nashville, TN: Holman Bible Publishers. This entry was posted in Daily Devotional Guide, Verse of the day on February 2, 2018 by Truth2Freedom. The apostle Paul describes the Christian life as “the life I live in the body,” but Paul says that he lives this life “by faith in the Son of God.” The Christian life is lived “in the body” and “by faith in the Son of God.” These two statements give us a good handle on the Christian life. You will always feel the pull of the flesh. You will find yourself lacking courage, losing heart, and lamenting your failures. You will experience sickness, weakness, and eventually death. You may struggle with depression, anxiety, doubt, fear, and loneliness. This flows from the fact that the Christian life is lived in the body. But that’s not the whole story. Christ is for you and with you. His Spirit lives in your body. That means you can look to him and count on him in every circumstance of life. Christ’s presence is what makes it possible for you to live this life in the body, and his power is appropriated as you exercise faith. Think about the Metra train going into Chicago. It runs on twin tracks, just like the Christian life. Just as the train needs two rails to get to Chicago, you need to grasp these two realities —“living in the body” and “living by faith”— to make sense of the Christian life. 1. The Christian is at peace with God and at war with sin. You have peace with God because you are in Christ. You are at war with sin because you are in the body. Grasp the one without the other and you really haven’t taken hold of the Christian life. 2. Christ lives in me by the Spirit, and sin lives in me by the flesh. The Christian doesn’t live in sin, but sin lives in him. He is not in the flesh, but the flesh is in him. There is never a day when we do not need the cleansing blood of Christ. 3. The Christian is done with sin, but sin is not done with the Christian. There’s been a decisive break with sin: “No one who is born of God will continue to sin” (1 John 3:9). Yet, “if we say we are without sin, we deceive ourselves and the truth is not in us” (1 John 1:8). 4. The Christian lives in the power of the Spirit and experiences the weakness of the flesh. Don’t expect life in the power of the Holy Spirit to feel like standing on the podium, taking a bow for your triumphant performance in the Christian life. The power of the Holy Spirit is what makes it possible for you to persevere in the challenges of life you are facing. 5. In Christ you are a new creation, and your struggles continue to be shaped by your experience, environment, and temperament. All of us are tempted, but our temptations are not the same. You live by faith, so trust Christ for the outcome. In the battles and struggles that you face this week, you can say, as a Christian, “I live by faith in the Son of God, who loved me and gave himself for me” (Galatians 2:20). The Son of God is with you and he is totally for you. You live the Christian life by actively exercising faith in him whatever you face. Living by faith means you don’t despair. When you feel completely defeated and you wonder, I’ve failed so many times. Will I ever win this battle? Look to Christ. The Son of God is with you. He has not left you. He is at your right hand. A believer is a “saint” because he or she is “in Christ.” Without Christ we’re completely lost. We have no standing before God without him. Our new life flows from him, our hope rests on him, and all our good is in him, “by the grace of God, I am what I am” (1 Corinthians 15:10). So where there is faith, there will be hope and humility—humility that knows we have nothing without Christ and hope that, in him, we have all things. The post The Twin Tracks of the Christian Life appeared first on Unlocking the Bible. This entry was posted in Biblical Lesson/Teaching, Christian Living on February 2, 2018 by Truth2Freedom. Lord, I bow at Your feet and acknowledge Your sovereignty. I know You will do what is best for me because You are always right. Amen. Spurgeon, C. H. (1892). Daily Help (p. 36). Baltimore: R. H. Woodward & Company. This entry was posted in C. H. Spurgeon, Daily Devotional Guide on February 2, 2018 by Truth2Freedom. John knew that the people to whom he was writing were believers and that their sins had been forgiven. In this verse, and in the verses that follow, the apostle said “I am writing to you” or “I have written to you” six times, in order to emphatically state that his message was limited to his readers, the ones who truly were part of God’s family. The word translated little children (teknia) means “born ones,” speaking of offspring in a general sense without regard for age. It is commonly used in the New Testament to describe believers as the children of God (John 13:33; 1 John 2:1, 28; 3:7, 18; 4:4; 5:21; cf. Gal. 4:19, 28). By using this term, the apostle was addressing all who were true offspring of God, at any level of spiritual maturity. His focus was on all who mourned over their sinful condition (Matt. 5:4), trusted Jesus Christ as their only Lord and Savior (Acts 16:31), had their lives transformed by the Holy Spirit (Titus 3:5), lived in obedience to God’s Word (Rom. 6:17), and showed sincere love for one another (1 Peter 1:22). Only two spiritual families exist from God’s perspective: children of God and children of Satan (cf. John 8:39–44). God’s children do not love Satan’s family or give their allegiance to the world he controls (cf. 1 John 2:15). Instead, they grow (though not all at the same rate or with equal consistency) in their love for the Lord, a love that will manifest itself in heartfelt obedience and service (cf. John 14:15). The New Testament plainly states that all believers, no matter where they are on the spiritual growth continuum, have been forgiven of all their sins (1:7; Matt. 26:28; Luke 1:77; Acts 2:38; 3:19; 26:18; Col. 1:14; 2:13–14). In fact, this truth is foundational to the evangelistic mission of the church. Jesus told His apostles “that repentance for forgiveness of sins would be proclaimed in His name to all the nations” (Luke 24:47). Peter declared to Cornelius and his companions, “Of Him [Christ] all the prophets bear witness that through His name everyone who believes in Him receives forgiveness of sins” (Acts 10:43; cf. 13:38–39). Paul attested: “In Him we have redemption through His blood, the forgiveness of our trespasses, according to the riches of His grace” (Eph. 1:7; cf. 4:32; 1 John 1:7; 3:5). Of course, this great reality of the forgiveness of sins was not new in the New Testament, but was firmly rooted in Old Testament teaching (cf. Pss. 32:1–2; 86:5; 103:12; 130:3–4; Isa. 1:18–19; 43:25; 44:22). John concluded this sentence with the reminder that God grants forgiveness to believers, not because of their own worthiness or merit, but for His name’s sake. That expression refers to God’s glory (cf. Deut. 28:58; Neh. 9:5; Ps. 8:1; Isa. 42:8; 48:11), which is the overarching reason for everything He does (cf. Pss. 19:1; 25:11; 57:5; 79:8–9; 93:1; 104:31; 106:7–8; 109:21; 111:3; 113:4; 145:5, 12; Isa. 6:3; 48:9; Jer. 14:7–9; Hab. 2:14; Rom. 1:5). God forgives sinners because it pleases Him to glorify His name by manifesting His superabundant grace, mercy, and power. As those who have been given the gift of forgiveness, believers will forever praise and magnify God (cf. 2 Cor. 4:15; Rev. 5:11–13). Still, while on earth, they are at different stages of growth, with distinguishing characteristics. 12 The first of John’s five slogans/sayings, addressed to his “children,” recalls the theme of 1:9–2:2: “your sins have been forgiven on account of his name.” Because this is clearly a comment on the salvific work of Jesus, and because it refers to Jesus in the third person, John is most likely citing a community slogan rather than a saying of Jesus (some have suggested this slogan is cited from an ancient baptismal formula; so Brown, 302–3, 320–21; Culpepper, 35; Rensberger, 71–72). While 1-2-3 John and the fourth gospel have surprisingly little to say about forgiveness (cf. Jn 20:23; 1 Jn 1:9–2:2), the “name” of Jesus is an important point of Johannine thought. Jesus’ “name” represents his divine identity and power, so that “belief in his name” means acceptance of John’s claim that Jesus came from God (Jn 1:12; 3:18; 1 Jn 3:23; 5:13). Those who act in Jesus’ name enjoy various benefits, including the expectation that the Father will answer their prayers (Jn 16:23–26), the hope of eternal life (Jn 20:31), and (here at 1 Jn 2:12) forgiveness of sins. Marshall, 139, notes that John may be reminding his readers of the forgiveness they received when they first accepted the name of Jesus at conversion. The perfect tense of aphiēmi (GK 918; NIV, “your sins have been forgiven”) focuses on the continuing effect of a past event (Johnson, 49). The experience of forgiveness should motivate them to remain faithful. 2:12 / The decisive fact which the Elder here wants to underscore for his readers is that their sins have been forgiven. The past has been taken care of; they have been cleansed. Forgiven is in the perfect tense, implying an act begun at a specific point in the past (conversion) and whose effects continue on into the present (they stand forgiven). This forgiveness is renewed on a daily basis by confession (1:9). Forgiveness is based on his name. It is on account of his name that the community enjoys its victory over sin. 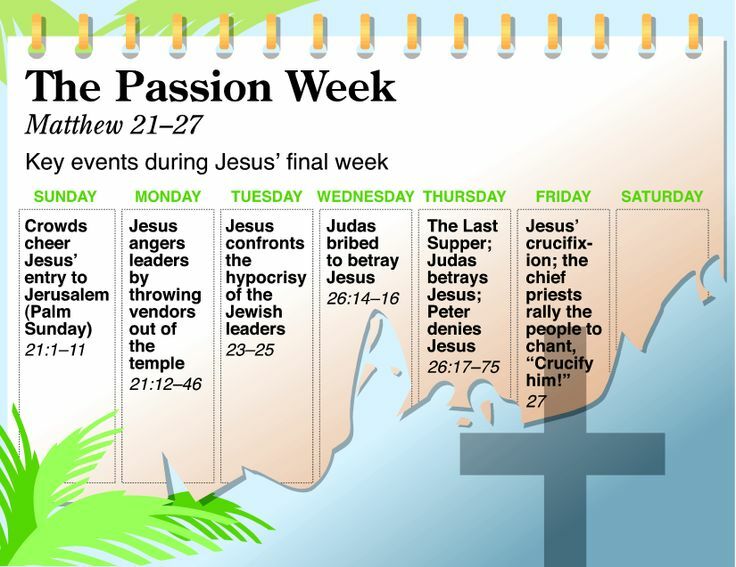 In 1:7 and 2:1–2 the writer states the christological foundation of forgiveness: “the blood of Jesus … purifies us from all sin” and “Jesus Christ, the Righteous One, … is the atoning sacrifice for our sins.” The name of Jesus is also the object of the believer’s faith in 3:23 and 5:13. It is by faith in his name (who he is and what he has done) that we are forgiven and have eternal life. 2:12 First he embraces the whole family with the expression little children. Here there is no thought of age or spiritual development. John is speaking to all who belong to the Lord, and this is proved by the rest of the verse, because your sins are forgiven you for His name’s sake. This is true of all Christians. It is a wonderful thing to know, as a present possession, the complete remission of our sins. Notice, too, that our sins are forgiven for His name’s sake. It is for Christ’s sake that God forgives us our sins. MacArthur, J. (2007). 1, 2, 3 John (pp. 72–73). Chicago, IL: Moody Publishers. Thatcher, T. (2006). 1 John. In T. Longman III & D. E. Garland (Eds. ), The Expositor’s Bible Commentary: Hebrews–Revelation (Revised Edition) (Vol. 13, p. 444). Grand Rapids, MI: Zondervan. Johnson, T. F. (2011). 1, 2, and 3 John (p. 49). Grand Rapids, MI: Baker Books. MacDonald, W. (1995). Believer’s Bible Commentary: Old and New Testaments. (A. Farstad, Ed.) (p. 2313). Nashville: Thomas Nelson. This entry was posted in Connect the Testaments, Daily Devotional Guide on February 2, 2018 by Truth2Freedom.